The United States is facing the prospect of potentially significant tariff increases on its beef exports to Japan in coming months, hikes its main competitors would be safeguarded from due to economic partnership agreements with the country. Japan’s tariff system incorporates a ‘safeguard mechanism’ designed to protect its domestic cattle industry from excessive beef imports. The safeguard mechanism kicks in if cumulative quarterly imports of fresh or frozen beef (calculated separately) from all suppliers exceed 117 percent of the previous year’s imports. In that event tariffs kick from 38.5pc to 50pc for the remainder of the fiscal year (Japan’s fiscal year runs from April 1 to March 30). However, only countries that do not have an economic partnership agreement (EPA) with Japan are affected by the so-called ‘snapback’ tariffs. Australia, under the terms of its own economic partnership agreement with Japan signed in 2014, and as one of the 11 member countries of the Trans Pacific Partnership agreement that kicked in from last December, is not subject to the safeguard duty. Apart from the US, which withdrew from the TPP in early 2017 soon after the Trump Administration came into power, all major beef exporters to Japan are members of the agreement, including Canada, New Zealand and Mexico. Tariffs on beef from the 11 TPP member nations dropped from 38.5pc to 27.5pc in December last year, and will drop further to 26.6pc from April 1. The US is not a member of the TPP and does not have a bilateral economic partnership agreement with Japan. Talks to develop an agreement are scheduled to commence in April, ahead of a visit to Tokyo by President Trump in May. If a recent spike in beef import volumes to Japan continues and triggers the safeguard tariff mechanism, US beef could soon face tariffs of 50pc on its frozen beef exports to the market – almost twice the tariffs of competitors protected by the TPP. Data from the Japanese Ministry of Agriculture, reported by Japan’s Nikkei news outlet this week, indicates Japan’s frozen-beef imports rose by almost 80 percent in January year-on-year. This included a significant increase in purchases of frozen beef from Canada and New Zealand, seen as a consequence of the lower tariffs incorporated in the TPP since December, and also the stronger buying power generated for Japanese importers by the yen’s sharp appreciation earlier this year. Figures quoted by Nikkei suggest the ‘snapback’ tariff would be triggered on US beef if Japanese beef imports in February and March, the final two months of its fiscal year, collectively exceed 49,887. Monthly imports by Japan have been averaging around 30,000 tonnes a month, the Nikkei said. 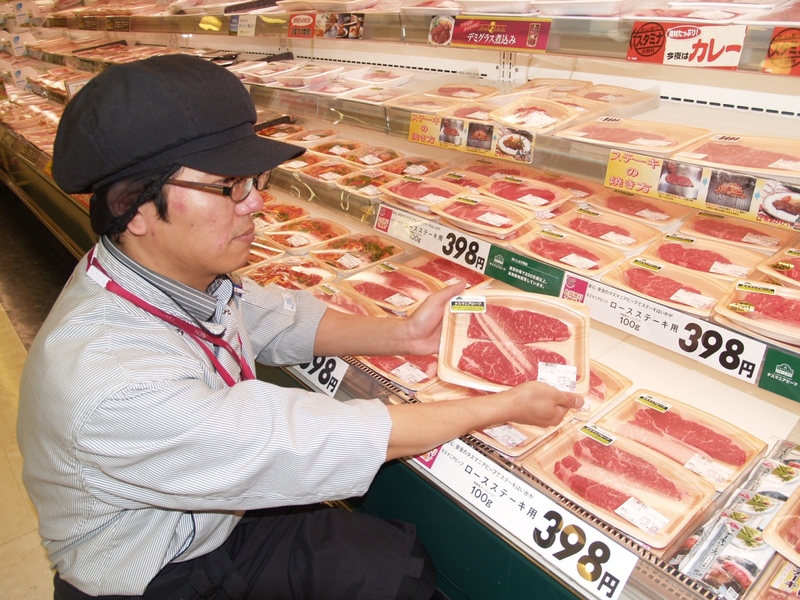 The Japanese Meat Traders Association has been reportedly encouraging member companies to keep an eye on how much foreign beef they buy to try to prevent a tariff hike from being triggered. The Nikkei report noted that import businesses do tend to curb inventories toward the end of a fiscal year which could prevent the safeguard mechanism from being triggered in coming months. The US has already triggered its single country frozen beef safeguard, but the tariff increase to 50pc would only be triggered if import volumes from all suppliers exceed the safeguard level. Sources close to the Australian beef export trade to Japan have told Beef Central there is uncertainty as to whether the safeguard will trigger, with general consensus leaning toward the likelihood that import volumes will be managed through March to prevent the tariffs from being raised. Contributing to that belief are relatively high stocks of beef in Japanese cold stores, making it easier for importers to manage around a two month tariff hike. The snapback tariffs were last triggered in 2017, the first time in 14 years, and stayed in place through to the end of March 2018, before resetting on April 1 for the current 2018/19 year. With no TPP in place at that time most major exporters to the market including the US, Canada and New Zealand were impacted by the tariff hike. Australia was spared courtesy of its economic partnership agreement with Japan which came into force on January 2015.
if the tariff hike is triggered, US imports would be affected in May and June. A breach in the fourth quarter of Japan’s April to March fiscal year would would trigger higher tariffs during the first quarter of the new year (April, May and June. As it takes a month to fully assess the import data, the impact of the tariff hike would occur in May and June). When it was last triggered in 2017 the Trump administration called for the removal of the safeguard mechanism. However, Japan kept the existing framework intact, with the Nikkei article speculating that may have been to retain beef as a bargaining chip future trade agreement talks with the US. It now seems that if the tariff hike is again triggered on US beef it could become a source of unwanted tension just as the US president is visiting Japan to discuss the trade agreement.